Seeing luscious green lawns and flowers in bloom are really a mark that our Michigan summers are in full swing! While AK Lawn Care installs sod and seed with high quality soil, eventually your turf is exposed to enough elements that it could cause a necessary recharge for your property – nothing the right amount of water and fertilization can’t help! We have highly experienced horticulturists on board that understand different types of soils and grass varieties which helps up formulate an appropriate fertilization plan for your landscaping needs. Dependent upon the condition of your grass, sometimes we recommend that the lawn utilizes our aeration process, which loosens the soil and help’s the grass roots absorb the nutrients to the maximum extent possible. 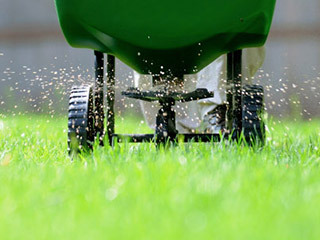 As always, AK Lawn Care uses the best quality, organic fertilizers to support the grass to grow strong enough to fight disease. 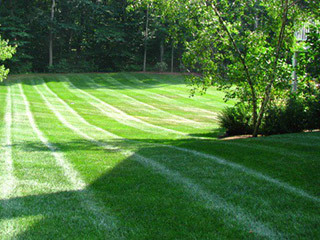 The right kind of fertilizers, whether liquid or granular form, also helps to increase lifespan. There are also instances when we recommend the use of manure to improve the quality of the soil.